In today’s world, nearly every business can go global. That’s why BSW’s attorneys are equipped to pursue our clients’ international interests, whether they be non-profit projects or a full-scale hotel development. Our team consists of attorneys located in Baton Rouge and New Orleans, and has assisted clients with international sales contracts, foreign direct investment, sanctions compliance, real estate transactions, and even establishing a franchise on foreign soil. We have experience that spans beyond the territorial limits of our home country. From an export in China to a distribution agreement in Europe, or a subsidiary in South America, our attorneys have the tools to help your business increase profits abroad. But sometimes, foreign law is the easy part. 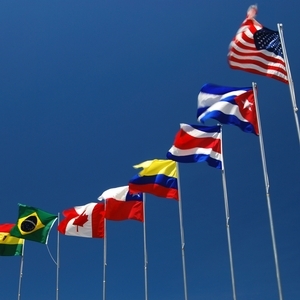 We’ve also helped our clients navigate U.S. regulations related to their international business. Our firm has experience in commodity licensing, compliance under International Traffic in Arms Regulations and the Foreign Corrupt Practices Act. Our attorneys can help your business remain compliant whether you are dealing with a U.S. territory in Latin America or an embargoed nation in the Middle East. Baton Rouge attorney Saul Reinaldo Newsome was featured in the Baton Rouge Business Report's article about Emerging Latin American markets. Click here to read the article. Saul Reinaldo Newsome presented "Legal Framework: Doing Business in Cuba" at the Doing Business in Cuba Summit on June 22, 2016 in New Orleans, Louisiana.